Gartner predicts that information security spending will grow by almost 10% in ANZ for the detection, response and privacy business needs. This growth comes with the rising external and internal challenges surrounding cloud security, which have brought it to the forefront of many business agendas. However, businesses can’t simply add more people and more technology in order to prevent a breach. 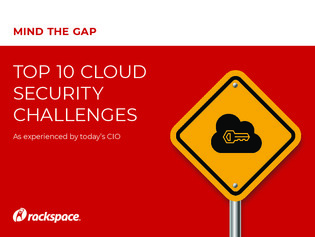 Cloud security is at the forefront of business agendas. Evolving security threats, new hacker methodologies, skills shortages and more are top-of-mind issues for CIOs. Download this resource to discover 10 concerns felt by CIOs and how you can approach each to neutralize risk at your business.